Your case has been completely dismissed. You have successfully completed a diversion agreement pursuant to Section 18-1.3-101 C.R.S. You have successfully completed a deferred judgment and sentence under Section 18-1.3-102 C.R.S. This process doesn't pertain to juvenile records for persons under the age of 18. Juveniles will still need to follow the expungement process as outlined in Section 19-1-306 C.R.S. (https://www.courts.state.co.us/Self_Help/sealingrecords). You can ask the Court to seal your criminal justice record informally in open court at the time of the dismissal of the case or if the verdict of your case is not guilty. If a sealing request is not made in open court, then you will need to fill out form JDF 477 Motion to Seal Criminal Justice Records along with the caption only on form JDF 478 Order to Seal Criminal Justice Records. You may file this Motion and Order at any time after the dismissal, acquittal, or completion of a diversion or deferred sentenced. The Motion and Order need to be filed with the Court. A processing fee of $65.00 is required to be paid when the Motion is made for the sealing of the record and prior to the order to seal being entered in the case. If you do not think you can afford it, you can request a waiver of the filing fee by completing form JDF 205 Motion to File without Payment and Supporting Financial Affidavit and the caption box only of form JDF 206 Finding and Order Concerning Payment of Fees. The Court will make the determination. (All forms can be located at https://www.courts.state.co.us/Self_Help/sealingrecords). Sealing a juvenile record is known as expungement. The juvenile, a parent, a guardian, or a court-appointed guardian ad litem may file paperwork to ask the court to seal juvenile records (NOTE: the court, probation and parole can also initiate a case to seal a juvenile record). Immediately if you are found not guilty, your case is dismissed, or you successfully complete a juvenile diversion program, a deferred adjudication, or an information adjustment. One year after you successfully completed probation or after your contact with law enforcement if nothing else happened after that contact. Three years after your unconditional release from commitment to the Department of Human Services or the date of you unconditional release from parole supervision. Five years after the date the Court's jurisdiction over you ends or the date of your unconditional release from probation or parole supervision, whichever is later, if you have been found to be a repeat or mandatory juvenile offender and if you have not violated any other criminal statute. At any time if you were convicted of prostitution, as described in Section 18-7-201, C.R.S. ; soliciting for prostitution, as described in Section 18-7-202, C.R.S. ; keeping a place of prostitution, as described in Section 18-7-204, C.R.S. ; public indecency, as described in Section 18-7-301, C.R.S. ; soliciting for child prostitution, as described in Section 18-7-402, C.R.S. ; or any corresponding municipal code or ordinance, and if at the hearing, the Court finds that, at the time you committed the offense, you were trafficked by another person, as described in Section 18-3-503 or 18-3-504, C.R.S., for the purpose of performing the offense, or you were coerced by another person, as described in Section 18-3-503, C.R.S., to perform the offense. You were charged by the direct filing in District Court as a juvenile under Section 19-2-517, C.R.S., and you got an adult sentence. You did not pay Court-ordered restitution to a victim. You can only ask the Court to seal your juvenile records once every twelve-month period. You should file the paperwork to seal your records with the District Court or Juvenile Court in the county where you had contact with law enforcement or where your juvenile case was heard. To access forms online, go to the website at (https://www.courts.state.co.us/Self_Help/sealingrecords). You may complete a form online and print it or you may print the form and fill it out legibly with black ink. If you are requesting to expunge multiple cases, you must file a separate Petition for each case. After receipt of your paperwork, a hearing will be set. During the hearing, you may be asked questions about the request to have your record expunged. On the hearing date, the Court will either grant or deny the Petition for Expungement of Records. If the Court grants the Petition, the Court will automatically "expunge/seal" the juvenile or criminal case and issue an Order. 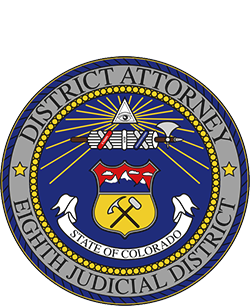 It is your responsibility to notify the Colorado Bureau of Investigation and those agencies listed on the Order, by mailing each agency a copy of the signed Order. Your failure to notify the agencies may result in the Juvenile's arrest and criminal or municipal record not being sealed.